The votes came a day after the board heard from scientists begging them to remove the language. Board members are set to hold a second public hearing and take final votes on the changes to the science standards in April. 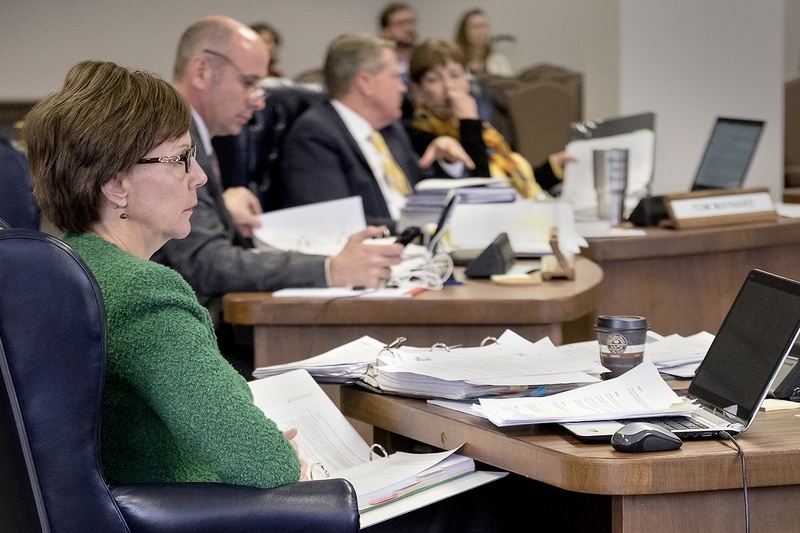 Republican board member Barbara Cargill led the charge Wednesday to keep three of those four standards in some form — arguing that they would actually help students better understand the science and keep teachers away from creationist ideas. Democrats Georgina Perez, Erika Beltran, Ruben Cortez and Marisa Perez challenged each of those motions. The board voted 9-5 to add language back into the standards requiring students to “examine scientific explanations of abrupt appearance and stasis in the fossil record” — against the recommendation of the committee. At Tuesday’s public hearing, former Texas science teacher Joni Ashbrook told the board that specific language is included in creationist arguments that a supernatural agent explains a burst of new forms in the fossil record. But Cargill said her addition allows students to fully comprehend the ebbs and flows in the number of organism forms over time. “Something obviously happened in the environment, and they’re gone and the fossil record flatlines and we don’t see them anymore,” she said. Beltran disagreed, saying the term “‘abrupt appearance” opened the door to non-scientific instruction. Language challenging evolution was removed from high school biology standards because it seemed too difficult for students to analyze and evaluate, the state education board was told in November.